I’d like to invite you to come and taste this beer with me at The Lumsden Freehouse today. 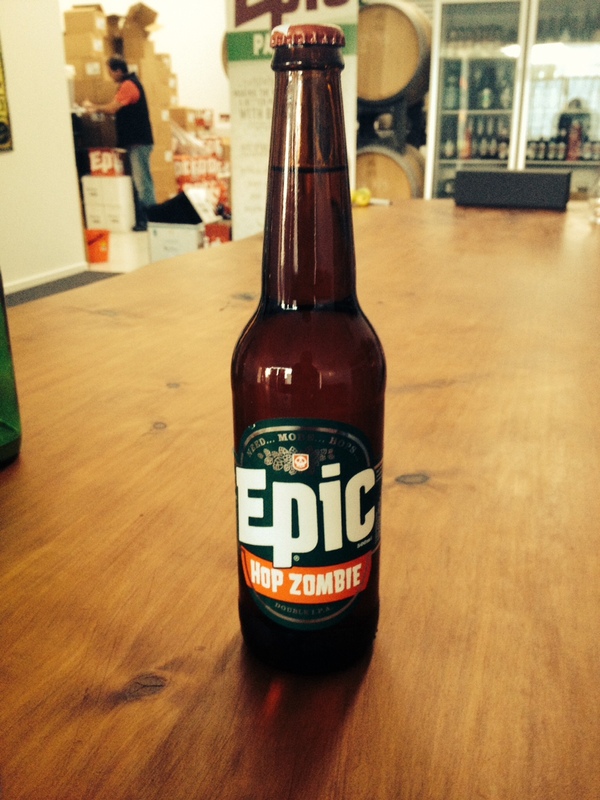 It is being released for the first time at Epic’s 9th Birthday Party, starting at lunchtime. This beer is made with all USA grown ingredients (malt, hops and yeast). This is the first time I’ve had the opportunity in NZ to do this. Cryer Malt imported some US grown malt which we have used to make this beer. The recipe was design as a hat tip to the moment in time where I had my lifes path changed by having a craft beer epiphany, which has ultimately lead me to making this beer. In 1991 I was at university in California, and got my first taste of craft beer (this happened to be Sierra Nevada and it was first drunk in Chico). The beer captures the light pale ale style that has influenced me, my beer tastes, and the way I like to brew. It is pretty simple, with the hop flavour being driven by old school aroma hops – Cascade & Centennial . 6% abv and 40 IBU. Intended as a light floral easy tasting summer pale ale (from Epic). One of my favorite songs while living in California, was “Epic” by Faith No More (link NSFW, use headphones). I’ve wondered for years if this song and this influential time in my life, was the reason for the naming of Epic Brewing Company. This limited edition T-shirt is only available for pre-order till 15th December. We will only be doing a single print run of this commemorative Epic 9th Birthday T-shirt. Please add size in comment box when paying. The front has the shields from each of the new beers brewed in 2014. The back lists all the beers we brewed in 2014, in order of release.